If you find yourself in the predicament of not being able to secure credit due to your credit record score being low, yet you are unaware of why this has happened, you can log a dispute with Compuscan and ask them to investigate. The first thing you need to do is to get a credit report from Compuscan. To do this you can go to their website directly and purchase a full report. Once you have the copy of your credit report, carefully examine all the information on the document and make notes of the incorrect or disputed information. Call Centre – You can phone the Compuscan number provided where a customer care consultant will be on hand to assist in your query or dispute. Once the dispute has been successfully logged, you will be given a Compuscan reference number. Once all the documentation has been submitted and received, Compuscan will then proceed to investigate the dispute with the relevant source of the dispute. Compuscan will need approximately 20 business days in order to resolve your dispute. During this time, Compuscan will be making contact with the source of the dispute, asking them to provide all the information and evidence they have in support of the credit report information. 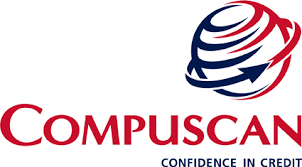 Once Compuscan has received the necessary feedback from the source of the dispute, Compuscan will update your credit information and you will be contacted regarding the results of the dispute investigation.